The study conducted by SMG Consulting found visitors to the Oceano Dunes area from outside of SLO County spent an estimated $158 million directly on travel expenditures, with $45 million being spent on accommodations. The travel expenditures generated a total of 3,300 jobs, according to the study. 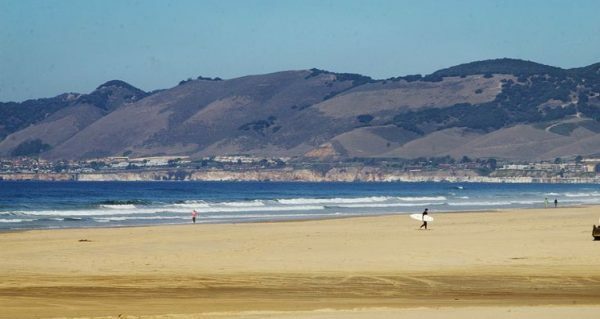 Whereas previous economic impact reports only factored in the dunes riding area, the 2016-2017 study included the entire Oceano Dunes District, which also includes Pismo State Beach. Attractions within Pismo State Beach include the Monarch Butterfly Grove, Pismo Lakes, Pismo Nature Preserve and the new Oceano Dunes District Visitor Center. Factoring in the expanded area of the study, the total economic impact of the Oceano Dunes increased by $171 million from 2010-2011, when a similar study was conducted. The estimated jobs generated by the economic impact of the dunes rose by 1,987 from 2010-2011. Over the course of the 2016-2017 study, more than 2.2 million people visited the Oceano Dunes District. Among the visitors who were surveyed as part of the study, 85 percent came from outside SLO County, and 73 percent were out-of-county visitors who stayed overnight at the dunes. The survey found that 96 percent of visitors to the Oceano Dunes live in California and 95 percent live within 320 miles of the state park. By region, 39 percent of participants in the survey came from the Central Valley, 21 percent from the Central Coast, 18 percent from Southern California and 17 percent from the Bay Area. An approximate even split of men and women participated in the survey, with 51 percent of respondents being male and 49 percent female. The average age of respondents was 42.2, and the median age was 40.6. Participants in the survey had an average household income of $115,000. On average, Oceano Dunes visitors traveled in parties of 11.4 people and stayed at the state park for 3.1 nights. Visitors’ three favorite activities at the Oceano Dunes are ATV riding, enjoying a beach bonfire and enjoying sunsets, according to the study. The three most popular offsite activities are shopping, sightseeing and visiting another beach or recreation area in the region. California State Parks published the economic impact report at a time it is again facing pressure to close some or all of the Oceano Dunes riding area to mitigate dust flows that are allegedly polluting parts of the Nipomo Mesa. It’s the self righteous control freaks who don’t care what the citizens want who keep forcing their agendas upon the community. I think I’m finding a theme here! Let’s not permit the upgrade to the Morro Bay Power Plant, now it’s closed. Let’s fight Permitting Diablo Canyon Power Plant, now it’s going to be closed. Let’s fight the permitting of the Oceano Dunes Recreational Area until it to is closed. Let’s raise fee’s and taxes for all county residents until only the rich can comfortably live here!! !